April Pipkins (L) and Emantic Bradford, Sr. (R), Emantic "EJ" Bradford, Jr.'s parents. 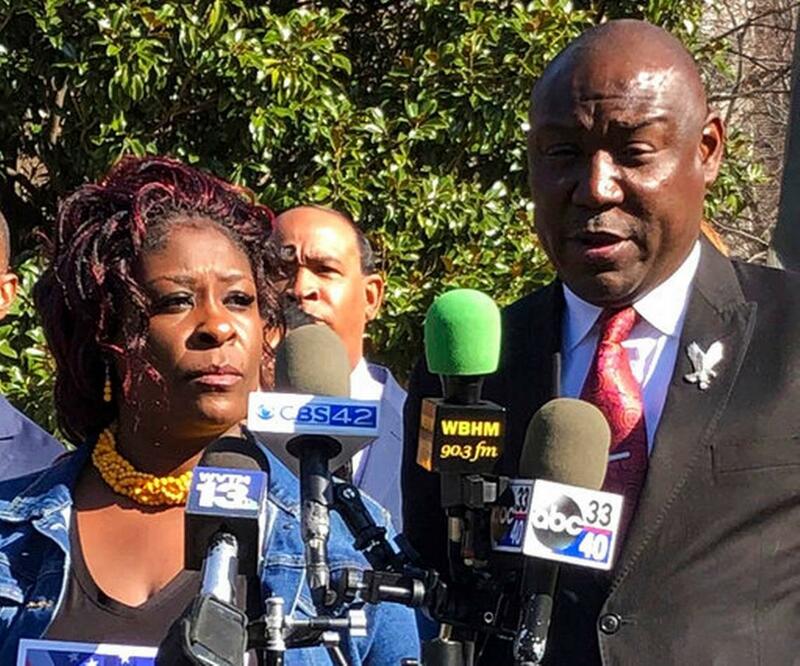 The family of a man killed by Hoover police Thanksgiving night asked the state attorney general Monday to meet with them and also to release video of the shooting. The 21-year-old was killed by a Hoover police officer responding to gunfire at the Riverchase Galleria shopping mall Thanksgiving night. Police initially described Bradford as the gunman, but later said they were mistaken. Police say Bradford was wielding a gun as officers responded to the scene of the shooting. "All I'm asking for is the truth. I want the truth. I want to know what happened. Release the video so everyone can see. Let us see for ourselves what happened," said April Pipkins, Bradford's mother. Attorneys for the family say they have seen a portion of the video of the police shooting, but a lack of transparency has caused "great mistrust." Alabama Attorney General Steve Marshall took over the investigation of the fatal shooting from the local district attorney last month. "Meet us face to face and let us know what is going on." Marshall's office declined to comment as of publication. Another man, 20-year-old Erron Brown, is charged with attempted murder of a person wounded in the gunfire that preceded Bradford's killing.